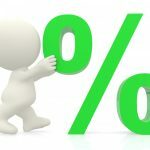 1% Down Mortgages are here! You make enough income to afford a monthly mortgage payment. Your FICO credit score is high. But you don’t have much spare cash for a down payment. Fortunately, you have options. Lenders offer mortgages that require down payments of just 3.5 or 3 percent of your home’s purchase price. The challenge comes when you want to find a conventional mortgage loan – one not insured by a governmental agency – that comes with an even lower down payment requirement. Can you find a loan that might require a down payment of as little as 1 percent of your home’s purchase price? Surprisingly, yes. To qualify, though, you will need a solid income and good credit score, and not be encumbered with too much monthly debt. You also might have to apply for your mortgage loan soon if you want to find more than a few 1 percent down options. But even if you can’t find that 1 percent loan? There are still plenty of options for low down payments. Kathy Cummings, senior vice president of homeownership solutions with Bank of America, said that low down payment loans are hardly rare today, even those designed as bad credit loans for borrowers with credit scores under 600. Unfortunately, too many borrowers still believe that they need to come up with a down payment of 20 percent of a home’s purchase price, Cummings said. Bank of America’s most recent Homebuyer Insights Report said that nearly half of all first-time buyers thought they needed 20 percent or more for a down payment. “These low down payment programs are valuable because lack of funds for a down payment has long been one of the most common barriers to buying a home,” Cummings said.